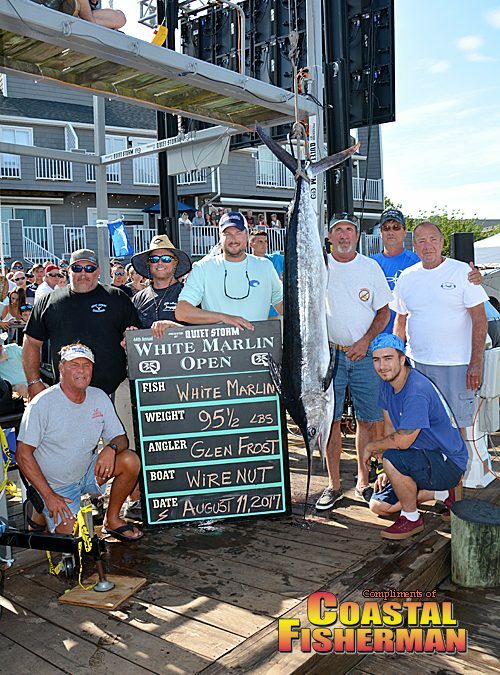 Glen Frost from Stevensville, MD on the Wire Nut took home the $1.6 Million payday for the largest White Marlin landed in the 44th Annual 2017 White Marlin Open. The fish weighed in at 95.5lbs. Second place finisher was Mike Donohue on the boat named Griffin with an 86lb White Marlin taking home a little more than $1.5 Million. For a full listing of the leaderboard, check out the Full Leaderboard Here.